The man behind new Prog Rock act Cairo is former Touchstone vocalist and keyboard player Rob Cottingham. He decided that he needed an outlet for his heavier musical writing tendencies and Cairo seemed to fit that bill. He then set about forming a group to make his vision come true. Enter Rachel Hill on vocals, James Hards on guitars, Paul Stoker on bass and Graham Brown on drums, plus their unofficial sixth member, producer and all round good guy Jon Mitchell who it has to be said has once again worked his production magic to make this album sound simply amazing. 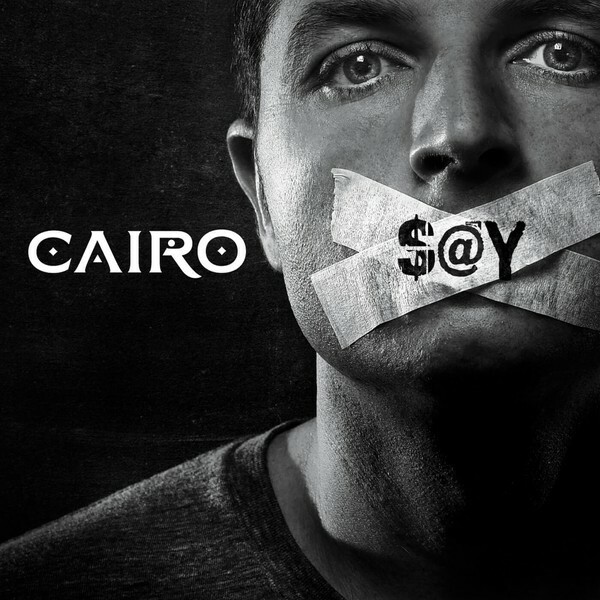 The music that lives on 'Say' is as stated, much heavier in many respects from what Cottingham was doing with Touchstone and Captain Blue, but he's also added a lot of ambient qualities to the Cairo musical mix. This gives the album a different overall sound than the one you'd usually expect to find on any normal (?) Prog album. Ironically, beginning the album with three slow musical passages (one, a spoken word story) at first doesn't set the world on fire. It's not until the fourth track, 'Wiped Out', that we actually get to hear Hill for the first time. However, when the band do start playing the actual songs, that's where the real magic starts to happen. 'Wiped Out', 'Say', the Riverside-esque 'Nothing To Prove' and the stunning 'Katrina' (a song dedicated to those who lost their lives and those who survived the terrible hurricane that hit New Orleans) show us a band that knows what it takes and what's needed to make great sounding Prog. This genre of music has many diverse layers and textures that urge repeated listens to make sure you get the most out of what you're listening to. Also, the musicianship of the band throughout the album must be given high praise as each band member brings their all to the table to help make this opus sound the best it possibly could. On this evidence, the UK has a fine new Progressive Rock/Metal act to be proud of. Hopefully, Cairo will go on from this excellent beginning and continue to write and record great sounding Progressive Rock music. I'm sure with Cottingham's vision and drive, they will go far.